Treat your lawn with our season lawn weed and feed treatments. 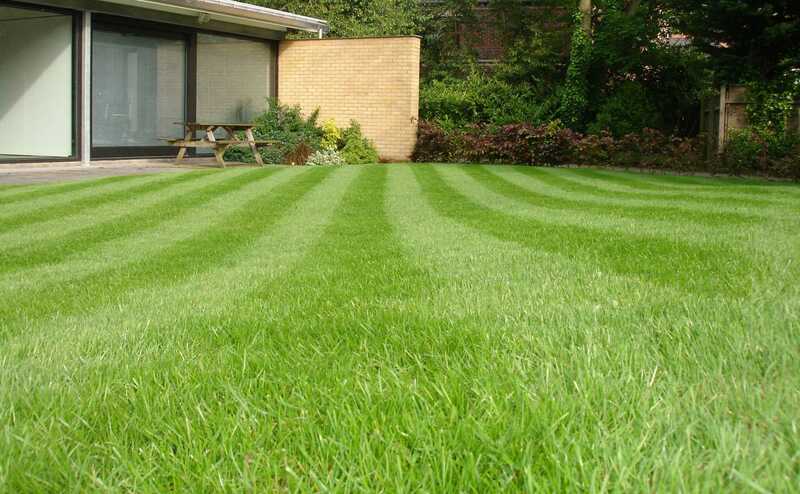 Designed to feed your lawn and enhance the colour, control the weeds and moss. Improve the soil and reduce the thatch. Without food to develop side shoots and thickness, the lawn is open to invasion by weed seeds and moss that thrive in low nutrient conditions. On the other hand, a regular supply of supplementary food makes your lawn thick and green. Treating your lawn with a regular supply of supplementary food will help keep it looking lush, green, weed-free, and healthy. There are no contracts to sign and you pay as you go or pay via direct debit. How often should your lawn recieve treatments? 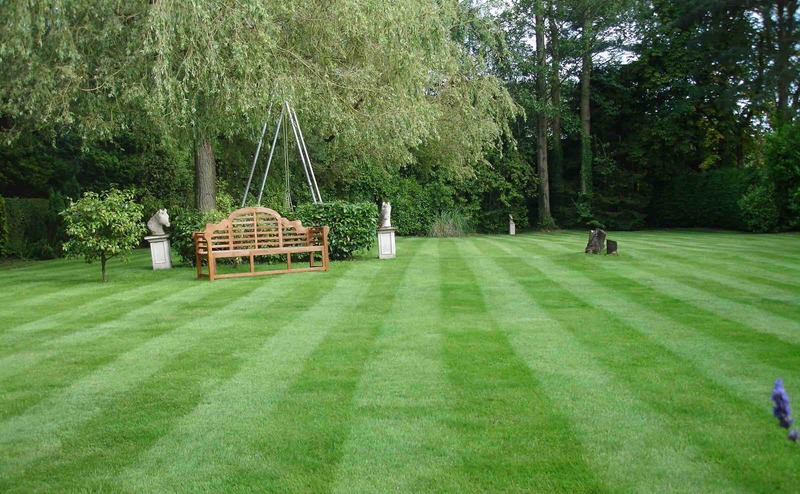 Read our blogpost to learn more about lawn treatments – what is needed, when and why? 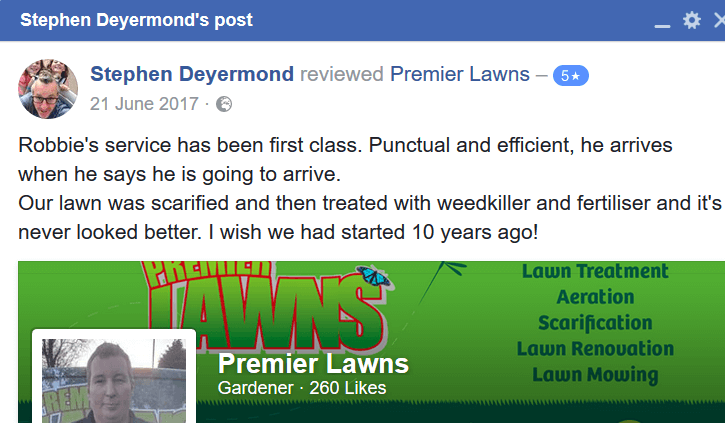 WHY NOT GIVE US A CALL TODAY AND FIND OUT WHAT IT IS LIKE TO HAVE A PREMIER LAWN. 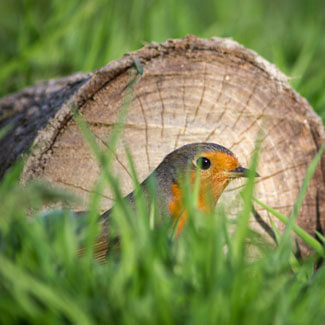 The seasonal lawn feed and weed treatments can be started at any time of the year. 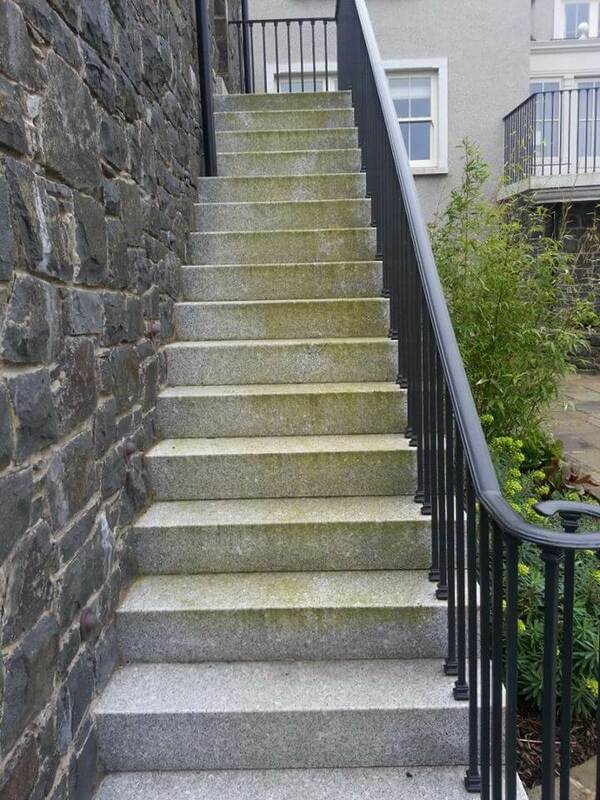 An application of feed containing essential trace elements combined with a very heavy dose of moss control. It is vital that moss, which is the biggest problem facing lawns, is controlled and not allowed to develop in your lawn. It also provides a dark rich green colour on the lawn. A balanced slow release fertiliser to wake your lawn up from the rigours of winter. We control common weeds such as dandelions, buttercups, daisies, plantains that tend to appear at this time of the year. Of course if other weeds are present we will control them too! The lawn is now in full use, the kids are playing and making the most of the sunshine and the lawn is getting plenty of use, summer is in full swing and it’s BBQ’s whenever possible! 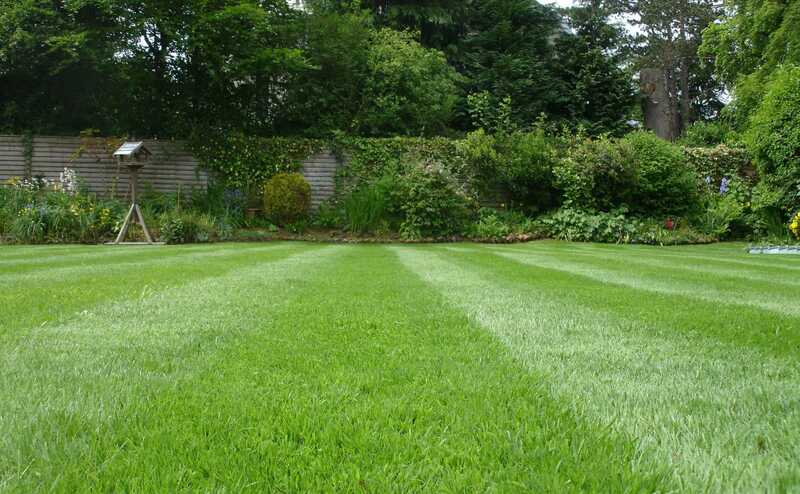 Our fertiliser to encourages thick healthy growth in the grass. It’s a non-scorch fertiliser so it won’t burn the lawn or stop the kids from enjoying the lawn. A summer application to control both common and some of the more difficult weeds such as speedwell, trefoils and different types of clover etc. The lawn is starting to slow down now, there may have been a prolonged dry spell or alternatively, it’s been a wet summer. We apply an organic lawn tonic, Seaweed treatment. Seaweed stimulates the soil bacteria, helps reduce thatch, increases resistance to disease such as fusarium and improves the soil. 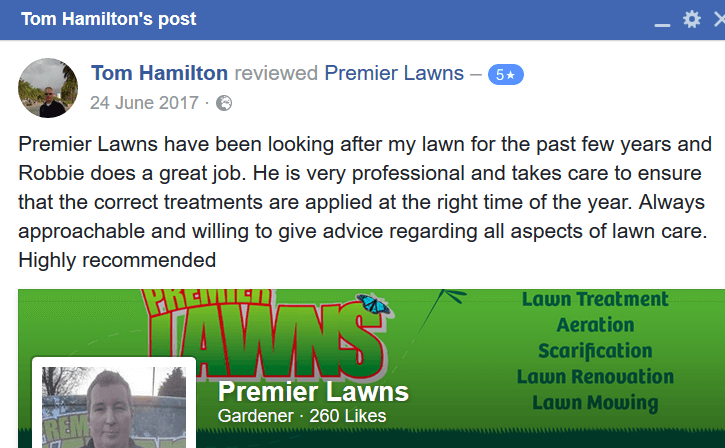 It can be used alongside the other seasonal lawn treatments too.